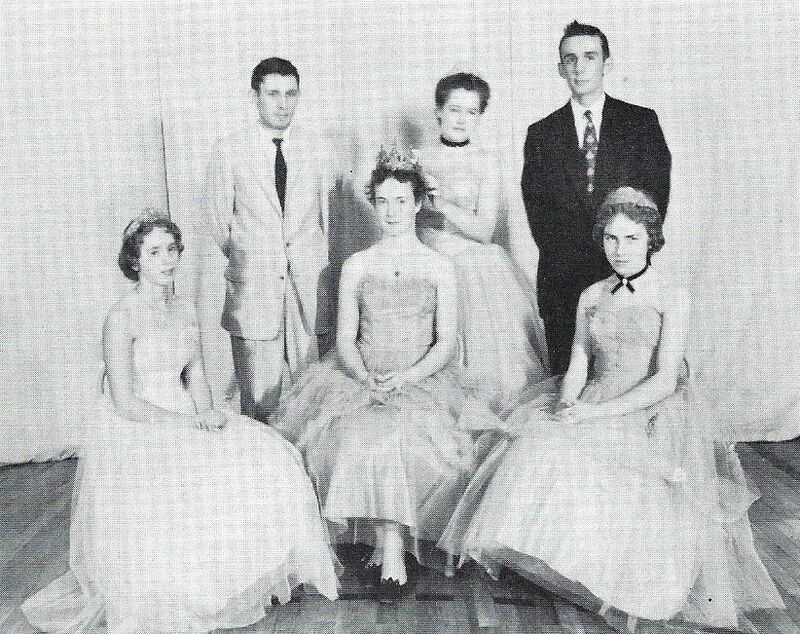 Mary Casteel, lower left, was crowned queen of Vale High School's 1958 homecoming celebration. Members of the homecoming court were, from left, Casteel, Jim Miller, Hazel Trohkimoinen, Joan Hawley, Eddie Keil and Sharon Williamson. Mr. & Mrs. Clarence Pfautz of Belle Fourche were arrivals in Vale last week. Mr. Pfautz is a barber and has made arrangements for the chair in the Vale Hotel. He is a fine barber and guarantees his works. When August Block was arraigned on a charge of abandoning his four children he gave as an excuse that he didn’t know how to look after them since his wife died. The Judge said that if he married a woman within thirty days who would care for the children, he would dismiss the charge and now Block is looking for a wife. The Homestake Mining Co. at Lead is advertising that it will employ women for the lighter work on the under ground workings and that they will pay the women the same wages as are paid men for the same class of work. The Government will shortly get out advertisements and receive bids for hay, both native and alfalfa, for the corrals at Newell and Orman. Parties who have hay for sale should get in touch with the Project Office at once. Bids will be considered only on first class hay. Between four and five thousand people attended the Progress Day fete celebrating the arrival of natural gas, the completion of Highway 79 and the finishing of the paving project in Sturgis. Natural gas turned into the Mains furnishing fuel for preparing free lunch by the Black Hills Utility Co. Exhibition showing the various uses of natural gas was demonstrated. The Black Hills Sugar Plant resumed operation at 7 a.m. Tuesday with approximately 5,000 tons of beets in the shed and all equipment throughout the plant oiled, greased, sharpened and tuned for the long grind which is now in progress. John Kindsfater claimed the honor again this year of delivering the first load of beets. Soon after a steady stream of trucks and wagons were hauling in loads to the plant. Preliminary test indicates higher sugar content than last season. Grasshopper poison bait is stored in many places in South Dakota. Check up to see that it is safe from humans, poultry and livestock. Often rats will eat holes in the sacks, allowing the poisoned bran to leak out where livestock may eat it. The proposition of providing a public skating pond near town, which has been talked of for the past several years, is again being agitated and receiving approval by citizens generally. If a suitable location is found available, it is believed the cost of the construction and maintenance of the rink would be so low, that we could not afford to be without it. A good skating pond would prove to be a most popular resort for both old and young. 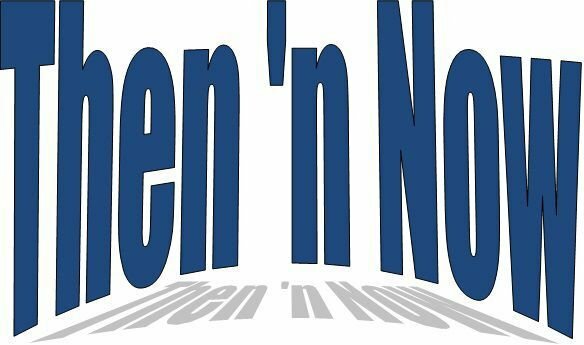 Offers for more than 150,000 acres of school land have been made this year, the second time in nearly 30 years, Commissioner John Lunden said this week. State law restricts the department to designation of 150,000 acres for sale each year. As a result of the large number of offerings listing land for sale must be closed and the first 150,000 on which offers were made will be listed for sale. Johnnie Brown, 21, son of Mr. & Mrs. Dave Brown, Vale was injured Monday afternoon when he was hit on the back by a heavy mounted tractor wheel. The wheel was being removed from the tractor at the time of the accident. He was severely bruised but lucky to escape with no more serious injury from the blow of the several hundred pound wheel according to Dr. L.L. Theberge who treated him. Westerners Range Management 4-H Club members elected Larry Snoozy as President at a meeting of the group Monday evening at the REA Building. Other officers elected were: Vice President David Getty; Secretary Sandra Winchell; Treasurer Patricia Jacobsen; and Reporter Gary Wendt. Roll Call was answered with “The most impressive thing that I achieved out of 4-H this year”. Pat Jacobsen, Larry Snoozy and David Getty reported on State Fair high-lights. The first copy of the Nisland High School newspaper “LARIAT” was issued this week by staff which are: Editor Darlene Payne; Art Editor Jerry Isto; Feature Editors Bonnie Breckenfeldt and Helen Kling; Sports Editors George Keil and Charles Maeder; Reporters Ronnie Shipley, Joe Dell, Vickie Burkhart, James Shultz and Leon D. Eide and Typists Jerry Isto and Vickie Burkhart. More than 200 ranchers are expected to attend the annual stockholders meeting of the Northwestern Production Credit Association (PCA) of Lemmon Saturday September 30. The meeting and luncheon will be in the basement of St. Mary’s church according to Ray Johnson, local branch manager of PCA. Featured Speaker, E.C. Gustafson, Manager of the Northwestern PCA, will present the annual report and the association’s progress during this year. The noon lunch will be prepared and served by the church ladies. Roy J. Osborne, Butte County Director of Equalization, announced this week that the re-valuation of property will start next week in Newell. He said all buildings and lots will be reassessed and a picture of the property will be put on a card which will become part of the file on tax property. The cards will be also be used by the state appraisers. An unnamed bay filly, donated by FFA Advisor Robert Johnston and High School Rodeo Advisor Lori Johnston, Arpan, will be given away December 4 through a raffle. The proceeds from the raffle will help sponsor a variety of activities equally between the two clubs. Accepting the horse for the FFA were President of FFA Greg Silvernagle and Sandi Swan President of Newell High School Rodeo Club. Newell Ambulance service is in need of additional trained people to operate the ambulance. Those interested in the 81-hour Emergency Medical Technician Class, which will start October 15 at Black Hills State College, Spearfish, should contact Robert Newth evenings for additional information.